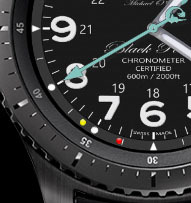 I am starting to think about adding some astronomical information to my watch face. 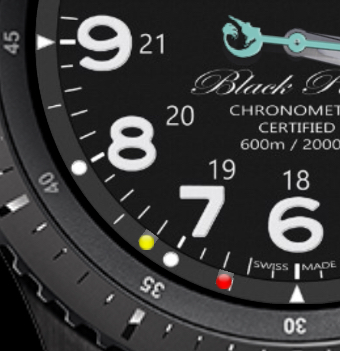 I am not sure yet whether I will include them in a published watch face. What do you think? Do you think the concept works? I like the way it makes use of space that otherwise is "wasted" but on the other hand it is perhaps not very intuitive? Well done! I like that implementation for sunset and sunrise. It is unobstructing and minimal but gets the information across. I think you should include it. Thank you Orion - I think I will ! The "brackets" rotate independantly from the dots so as to keep the brackets in the "groove" whilst also keeping the highlights at the top of the dots as they move around the bottom half of the face during the year. Awesome! I may have to wear this one soon. Keep up the great work. Very cool idea!! Thumbs up! I agree, I like the idea you had. It should definitely be included. Most likely a user won't understand at first but inform them in the description and your golden! Great work. I also like the brackets and the light shine staying in the right location. These little details are what I live for.